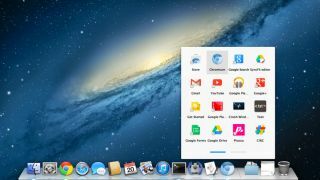 We've known for some time that Google has been looking to bring some of its Chrome OS features to other operating systems, and now new information all-but-confirms that a Mac version of the Chrome OS app launcher is on its way. The leak came from Chrome engineer François Beaufort, who also provided a picture and a link to a beta version that's ready to trial. You will, however, need to download at least one app from the Chrome web store to get it running. Google wants to emulate the experience of Chromebooks on other machines using the launcher, which lists all of your web apps in one convenient place. The Chrome OS platform runs web apps instead of traditional programs, which makes the app launcher an integral part of the Chrome experience. Instead of having to enter Chrome to execute app functions, the launcher opens the apps into a separate window. Currently there's no word on a launch date and Beaufort didn't offer up any other teasers. It is likely, however, that Google will release the app launcher with Chrome 28 and Chrome 29, both of which are heading our way soon.